Superb COACH Light Styling with High Light Output! 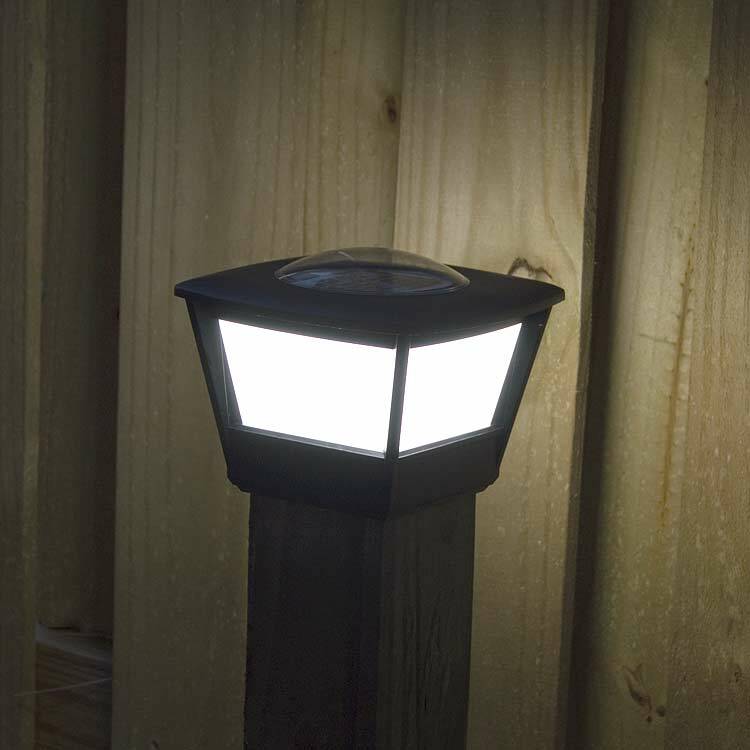 Eight (8) super bright LEDs and a large lens give COACH fence post cap superb light output in a compact and classic design. Easy to install, the COACH solar light stays on up to 12 hours and has battery protection for extended life. Price is for 2 solar lights per package. The solar light has more than three nights of storage charge in the event of bad weather when it has a full charge. Soft white light that is easy to see. COACH Solar panels are encapsulated in glass for long efficient life. The domed cover lets leaves and snow slide off to continue efficiently charging the light year after year. New chemistry LiFePo4 battery lasts up to 5 years! Solar that works. free-light products install in minutes, brighten for hours and last for years. Mounts on a standard 4x4 finished wood post (actual size 3.5x 3.5") AND will work on PVC, aluminum and synthetic fence posts which are 4"x 4". COACH 4x4 Solar Post Cap Light has a 3 year guarantee INCLUDING the battery! 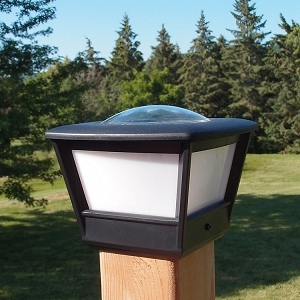 Learn more about the reliable and dependable COACH solar light and get yours today!